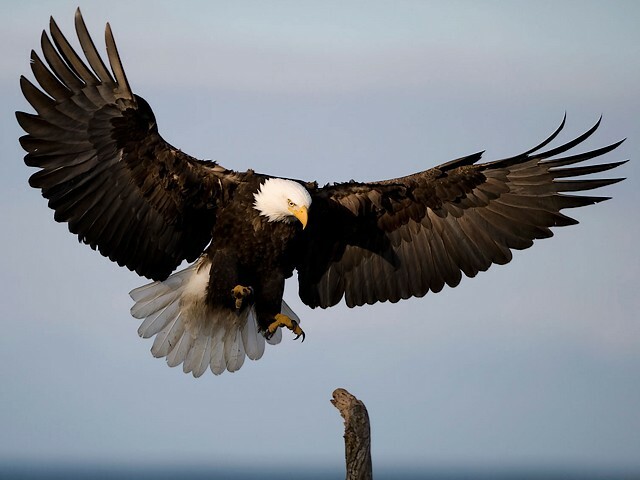 The bald eagle (Haliaeetus leucocephalus) is a bird of prey, which lives in North America, Canada and Alaska, and northern Mexico, near large open waters with an abundant food and old-growth trees for nesting. It is the National bird and symbol of the United States of America. The eagle became a National emblem in 1782 when it was adopted as an official seal.